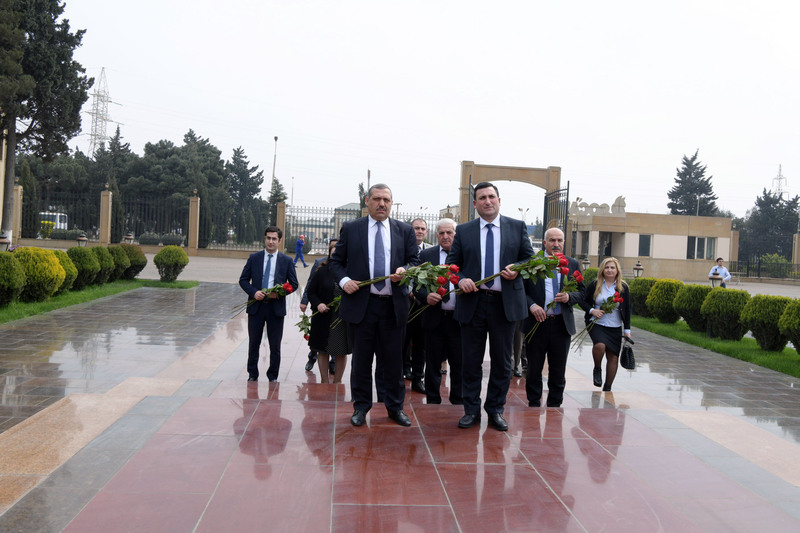 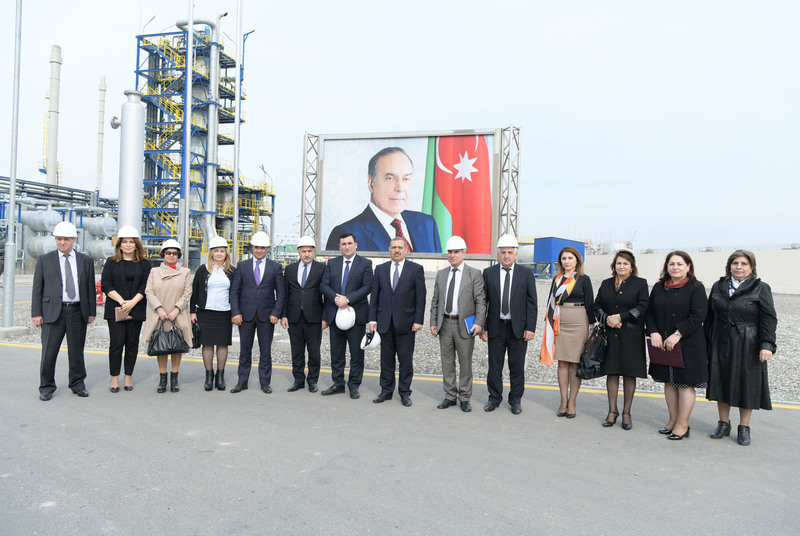 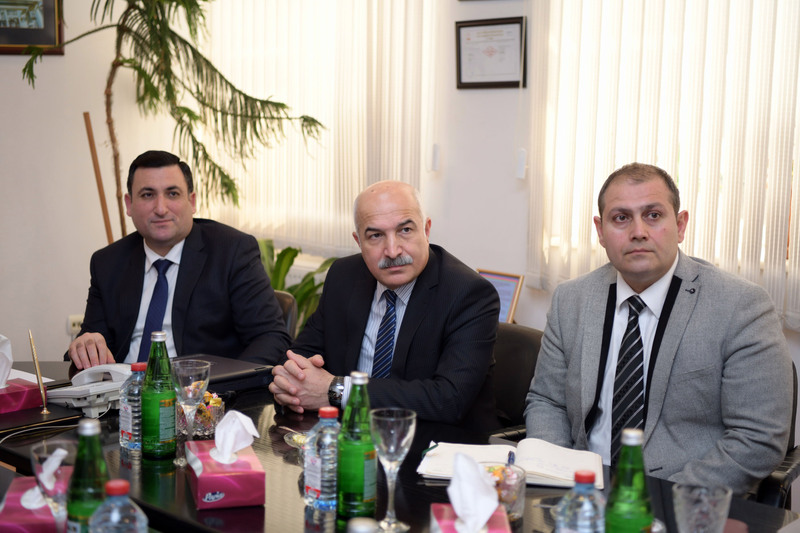 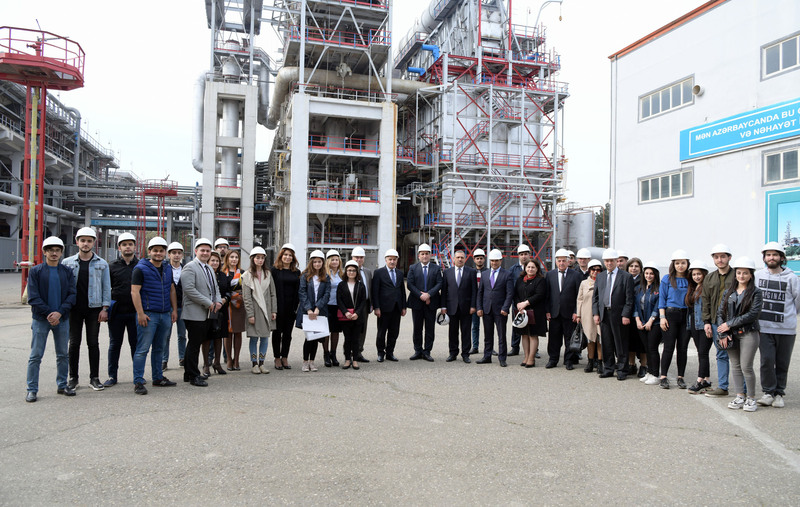 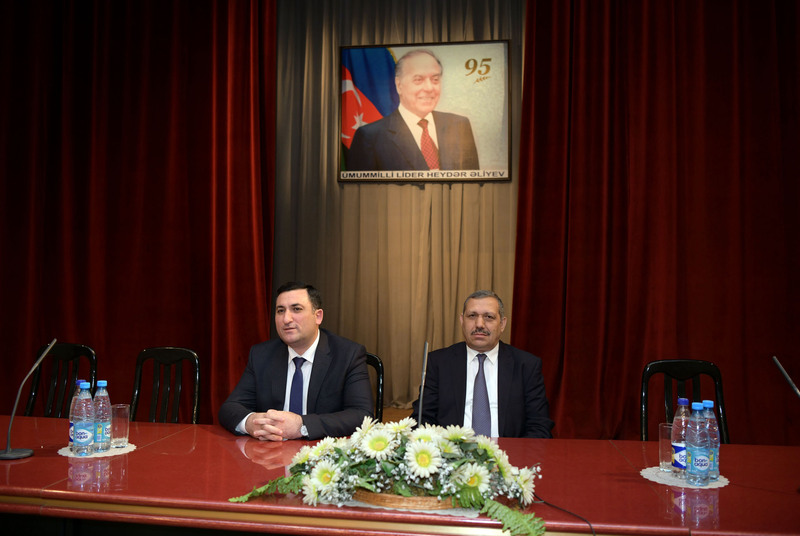 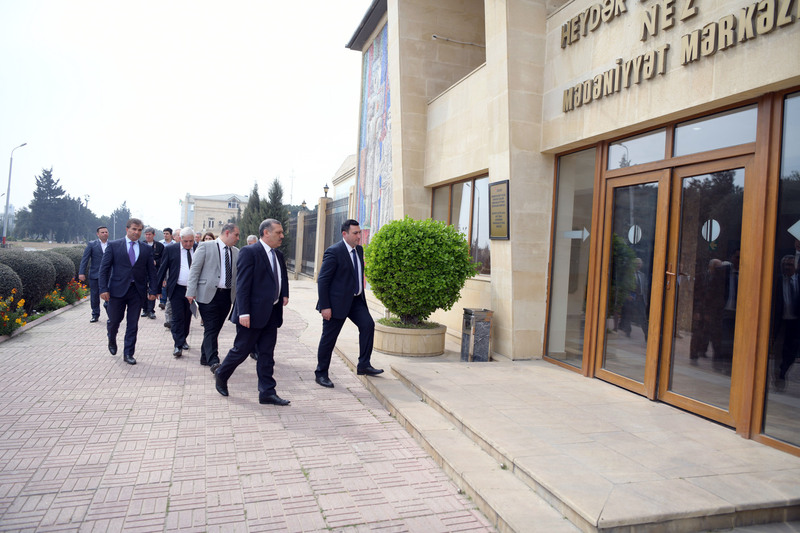 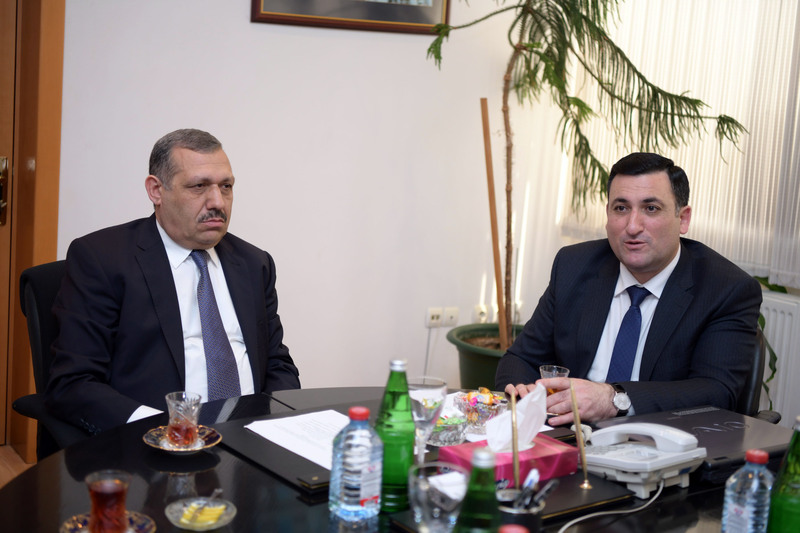 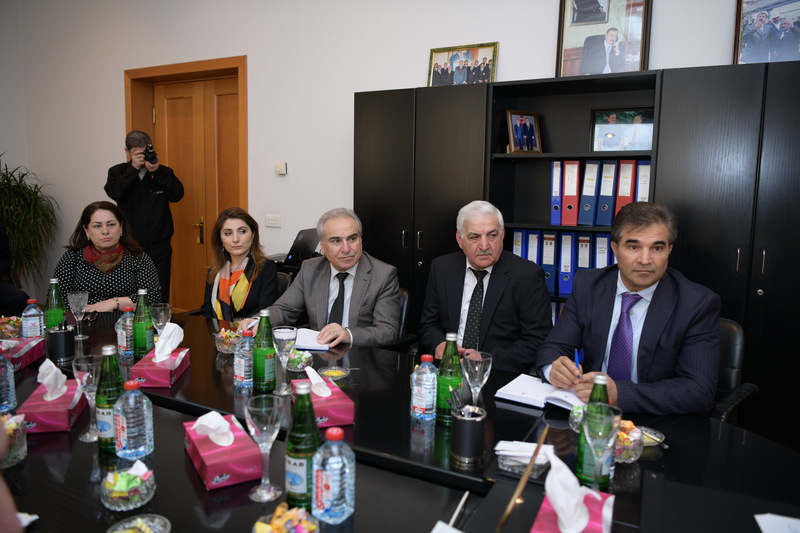 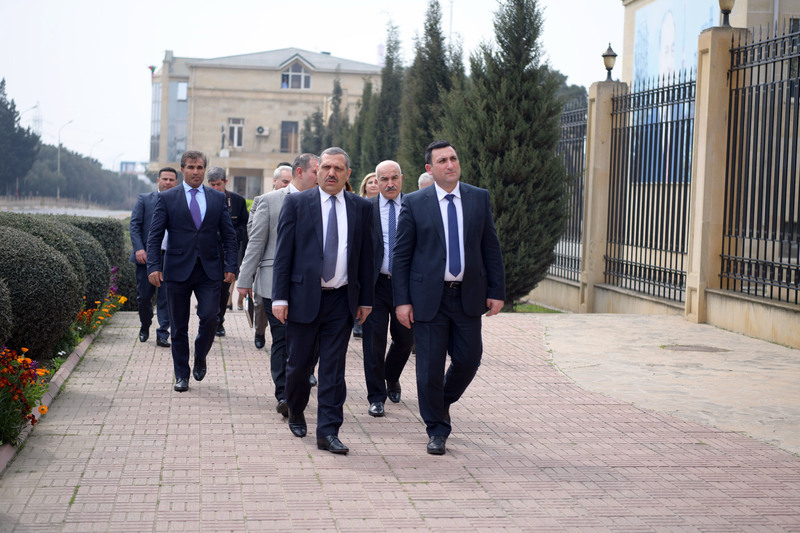 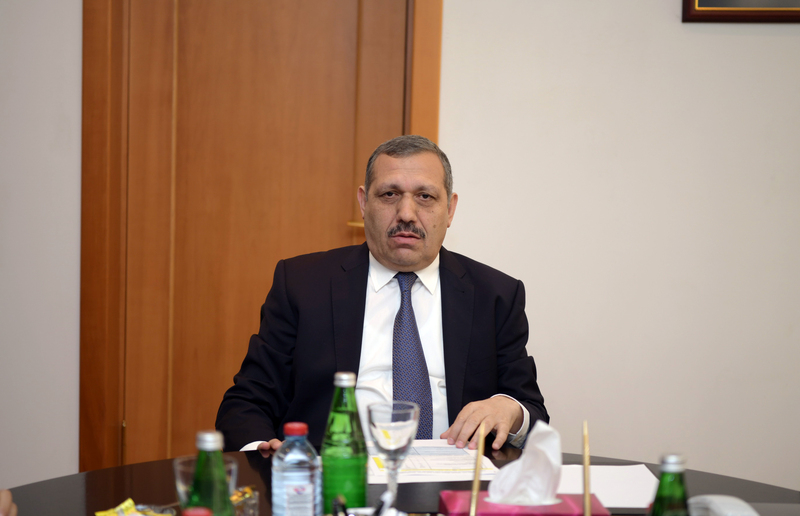 On April 12, the delegation led by the rector of the Azerbaijan State Oil and Industry University (ASOIU), Professor Mustafa Babanli held a meeting with the management of the Heydar Aliyev Oil Refinery. 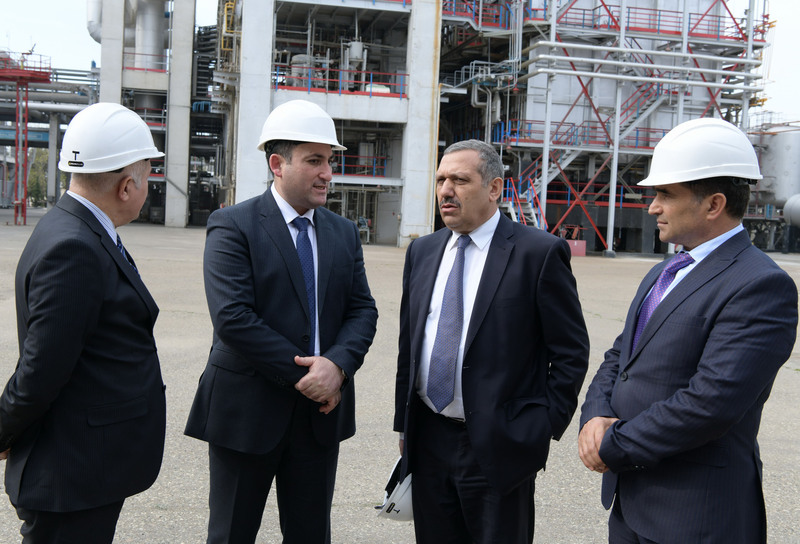 Expressing satisfaction with seeing the ASOIU representatives at the Refinery, the general director of the plant Elman Ismayilov talked about cooperation with the university. 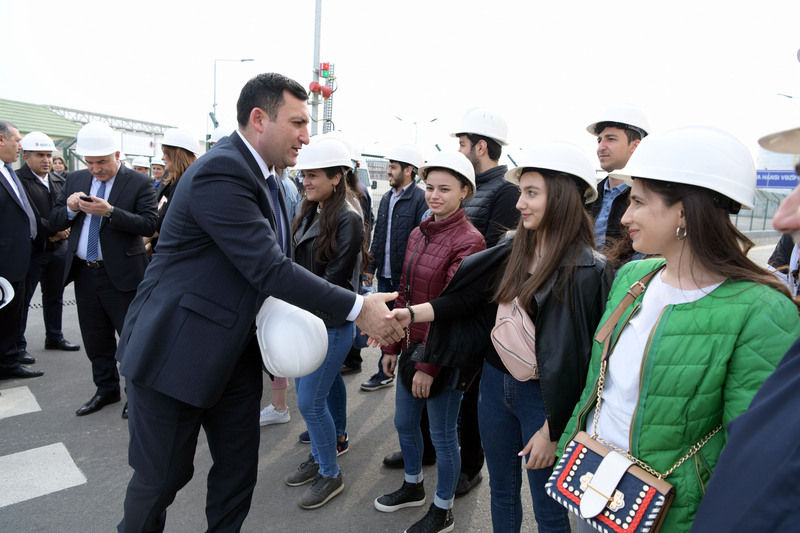 Noting that 198 ASOIU students undertake a practical internship at the plant, Elman Ismayilov expressed contentment with their preparedness. 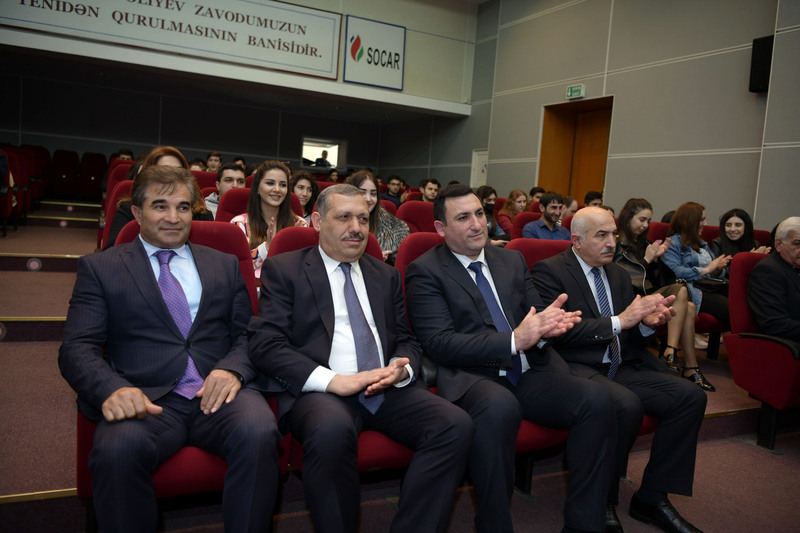 E. Ismayilov also highlighted that 636 out of 1206 specialists working at the plant are the graduates of ASOIU. 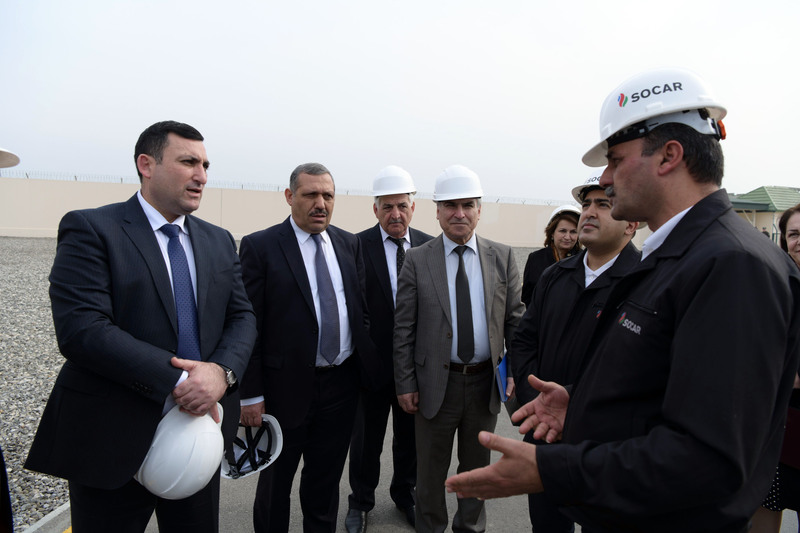 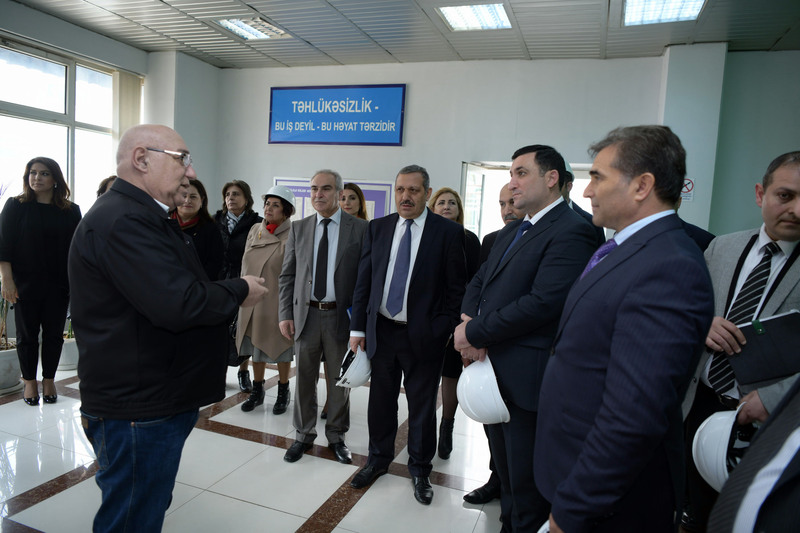 Ismayilov noted that the Oil Refinery needs specialized personnel, expressing his belief that thanks to the ties with ASOIU, the company will be provided with professional staff. 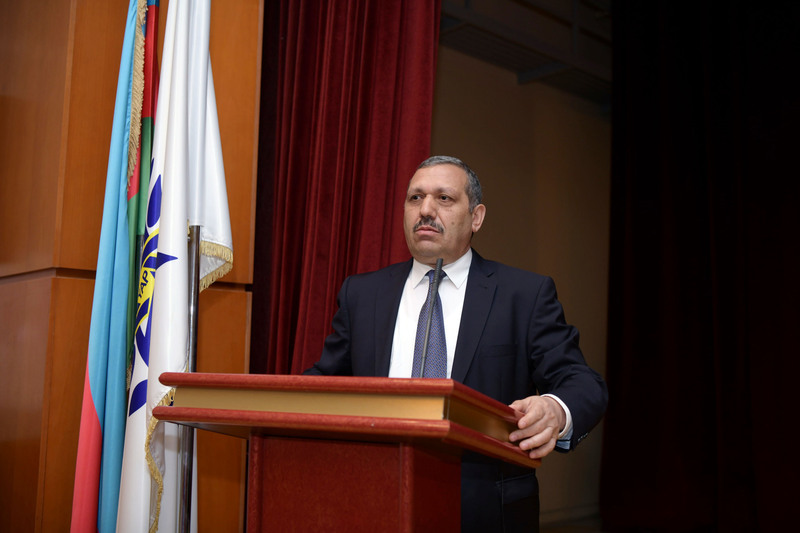 Thanking the management for the warm welcome, ASOIU Rector, Professor Mustafa Babanli provided information to the attendees of the event about the present reforms carried out at the university. 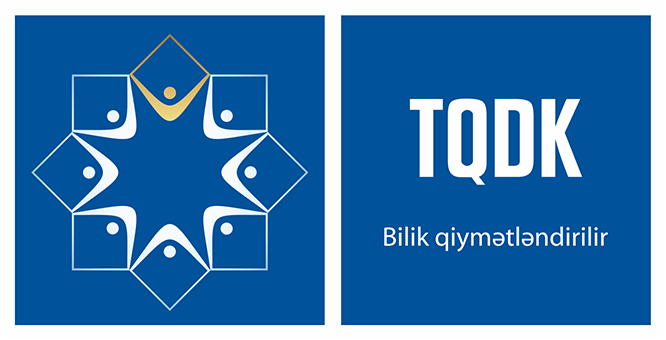 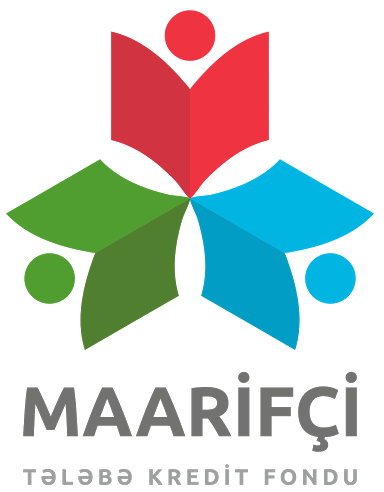 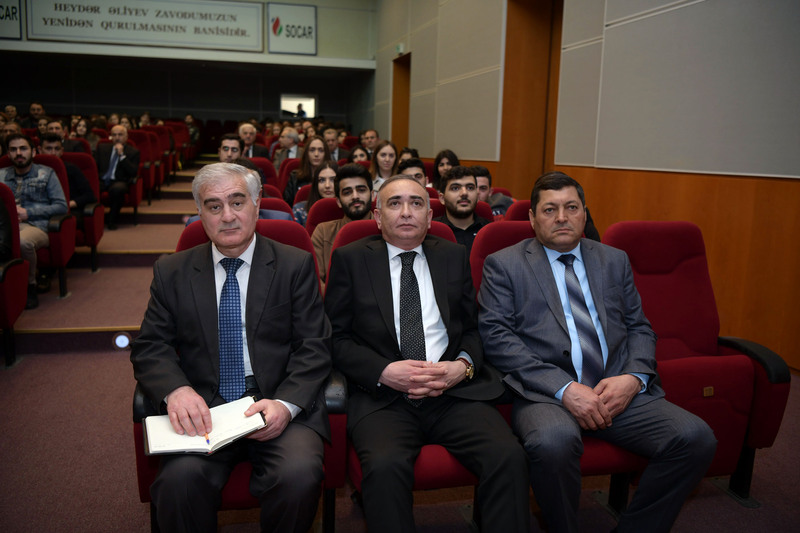 Speaking about to raise the quality of training at the university, supporting startup movement, applying the electronic education system, English-taught programs, Rector Mustafa Babanli underlined the importance of joint cooperation for the preparation of professional specialists for the country. 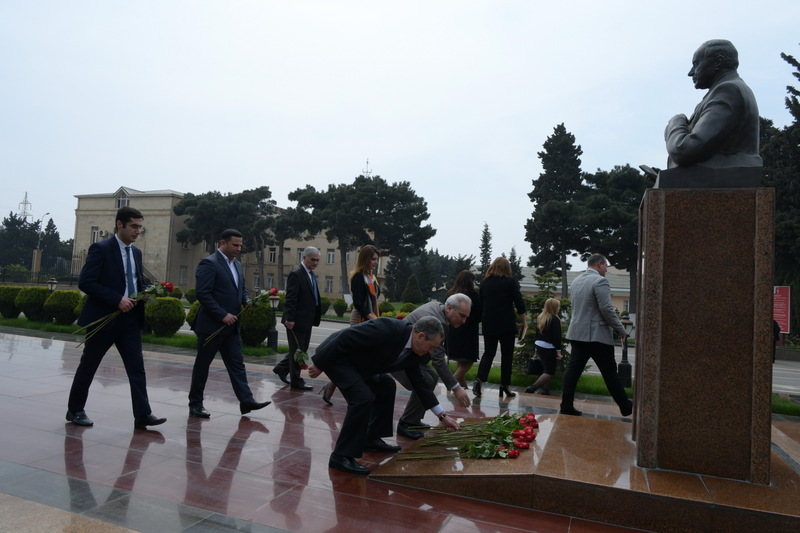 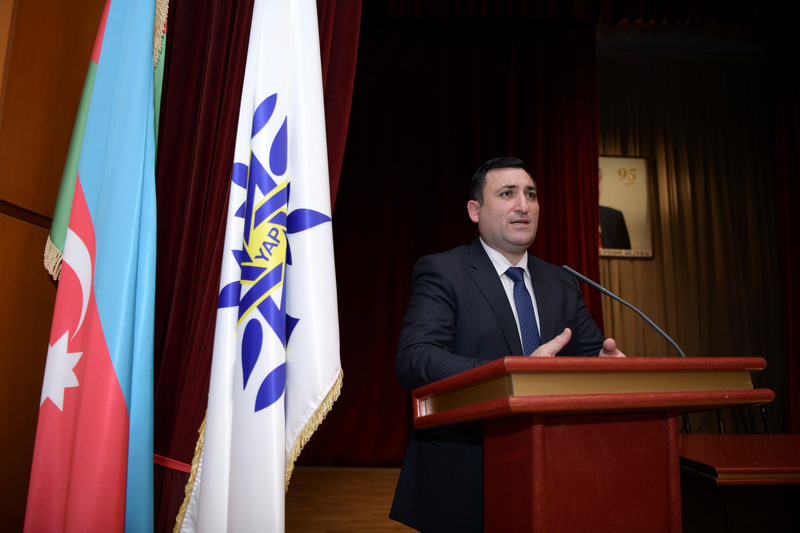 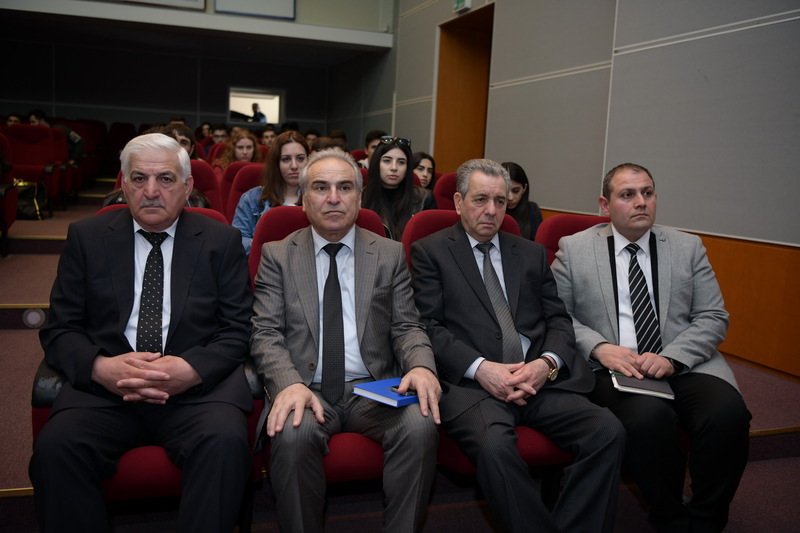 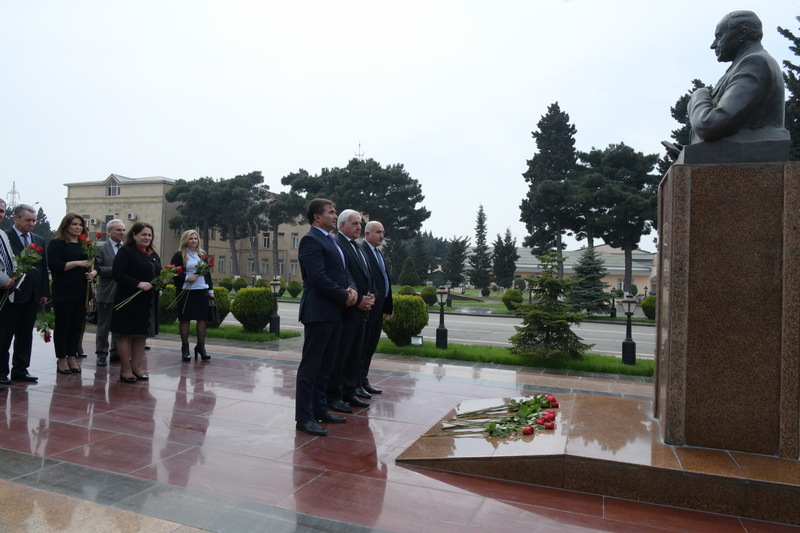 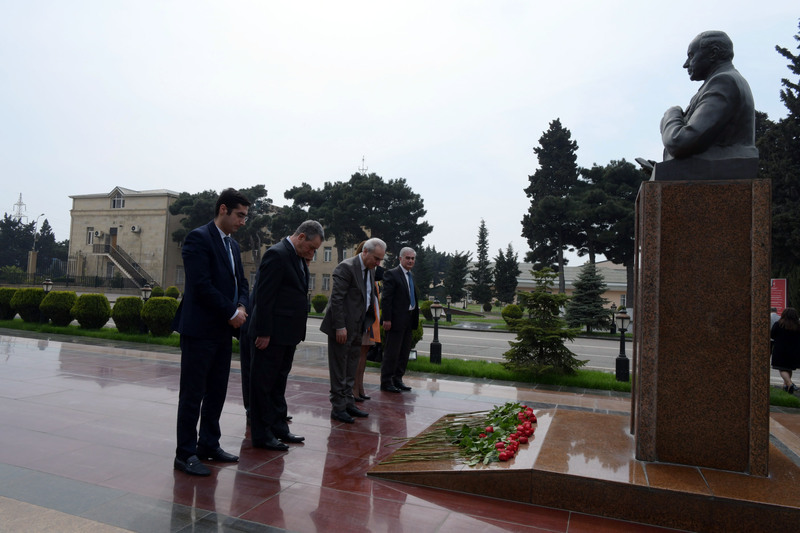 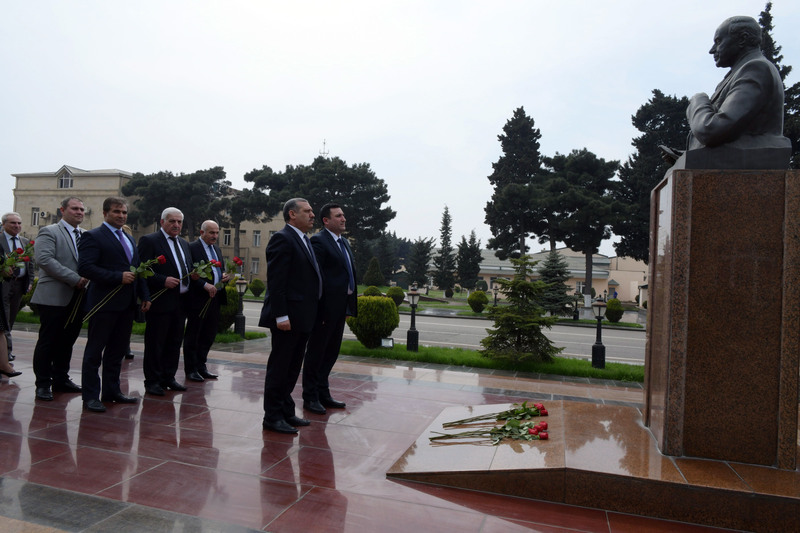 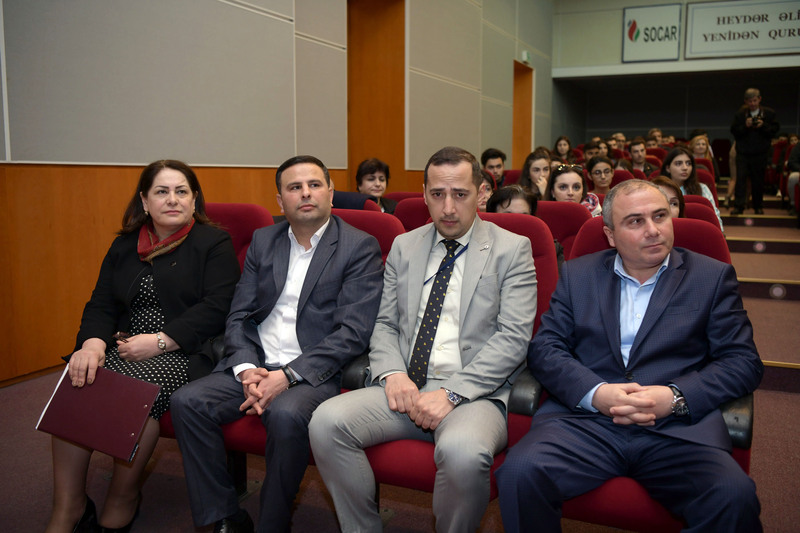 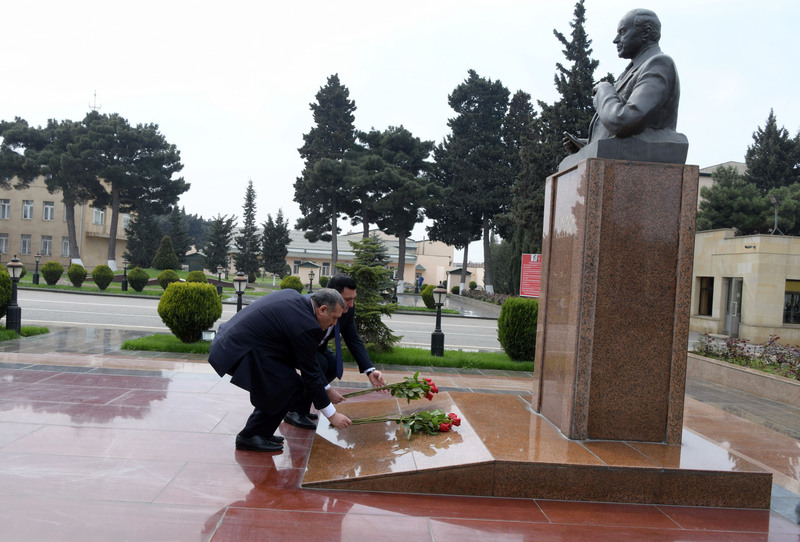 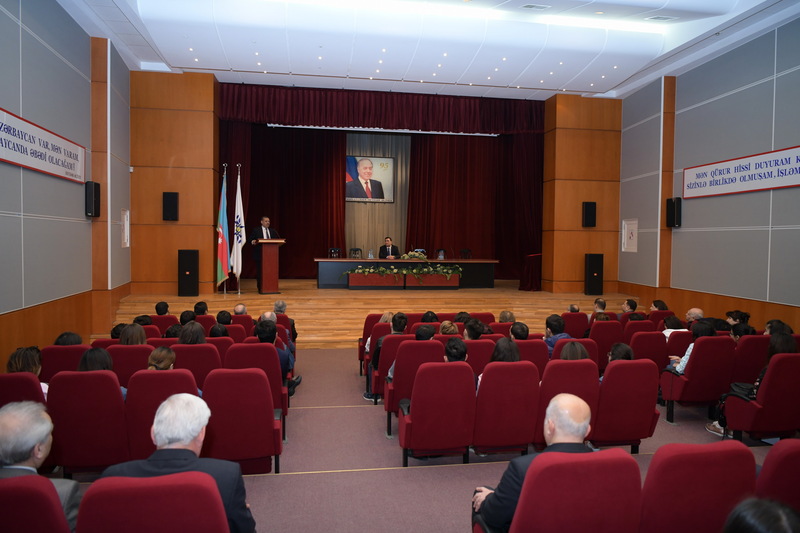 The presentation on the history, activity, purpose of Heydar Aliyev Oil Refinery was demonstrated at the event. 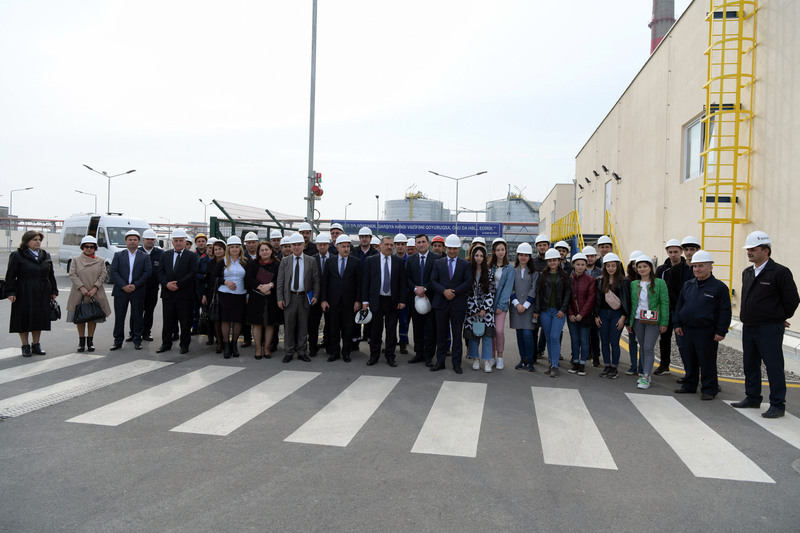 The meeting was held with the ASOIU students involved in the practical internship to the plant. 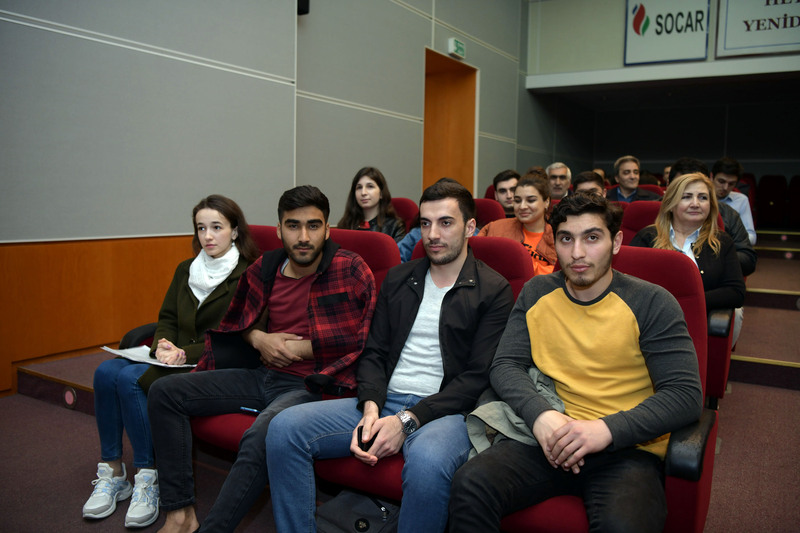 Firstly, the students were provided information about the safety rules. 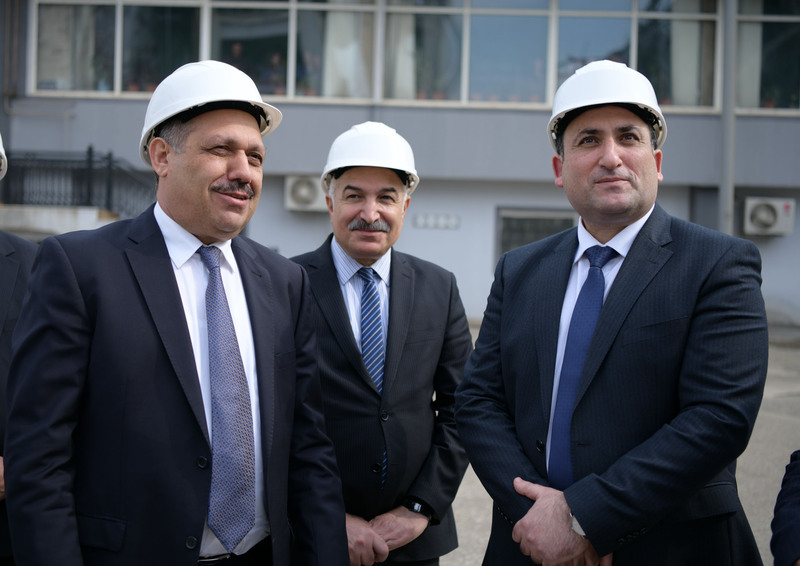 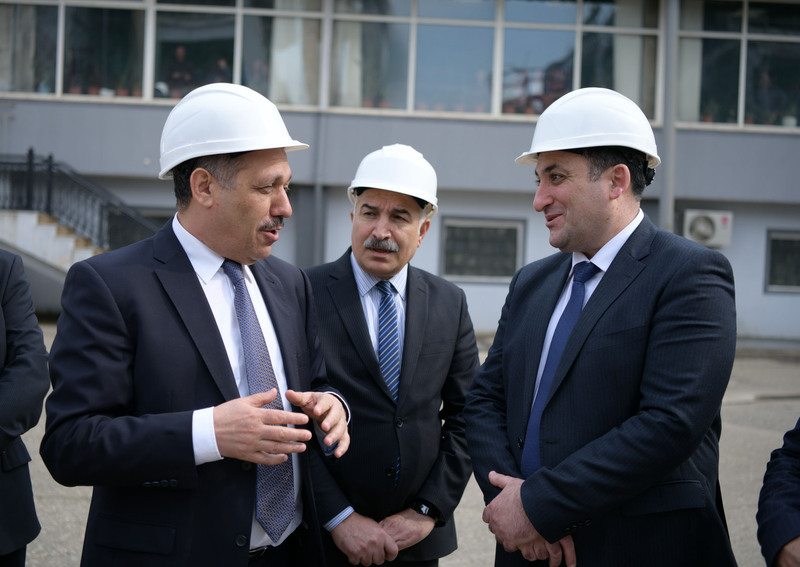 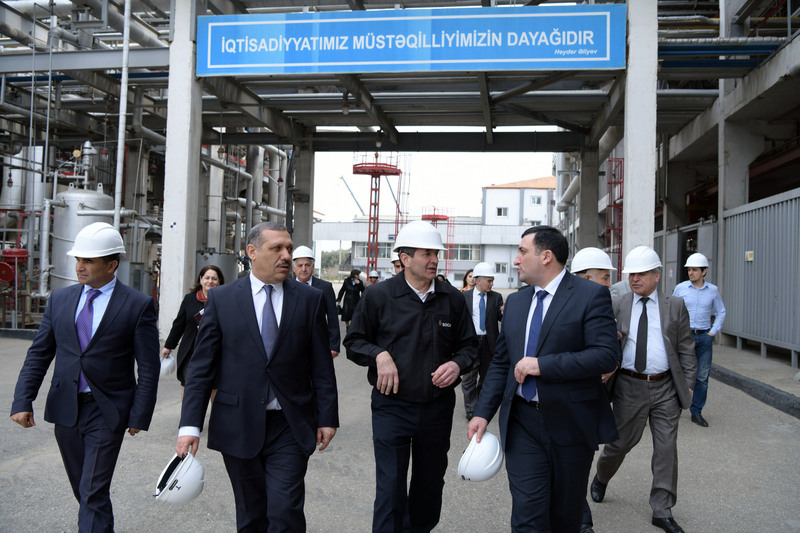 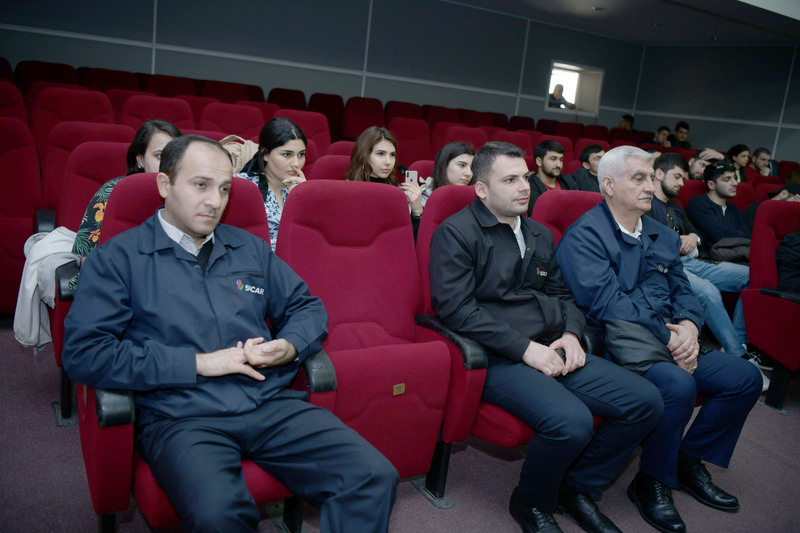 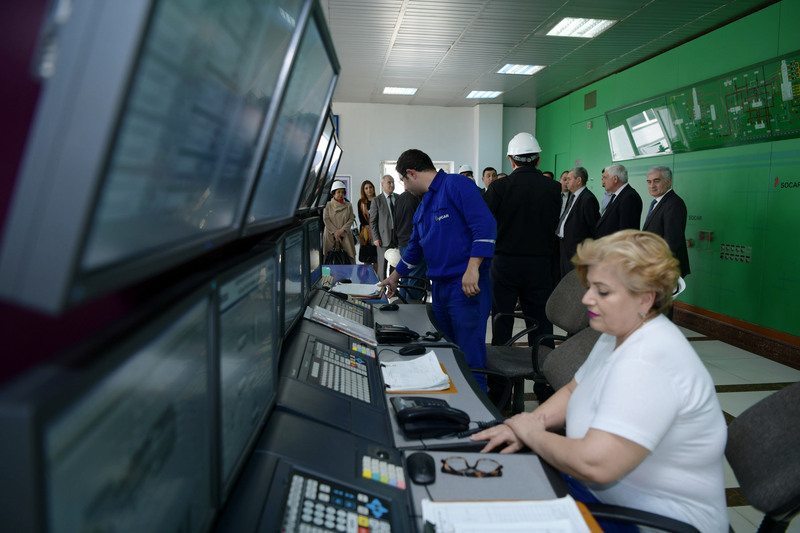 Then a video about the activity of Heydar Aliyev Oil Refinery was demonstrated. 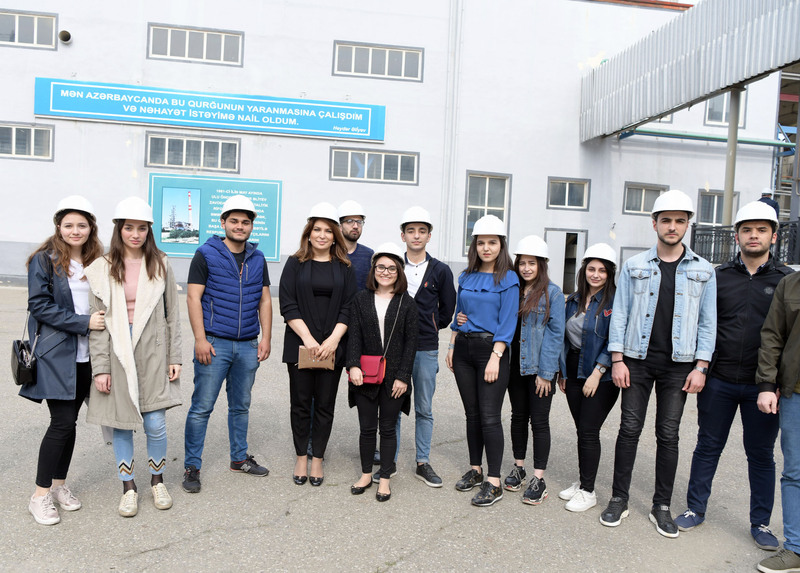 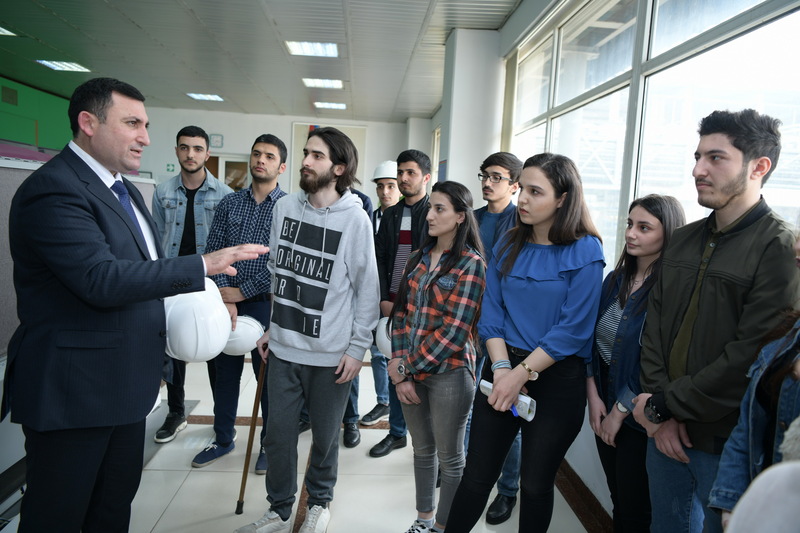 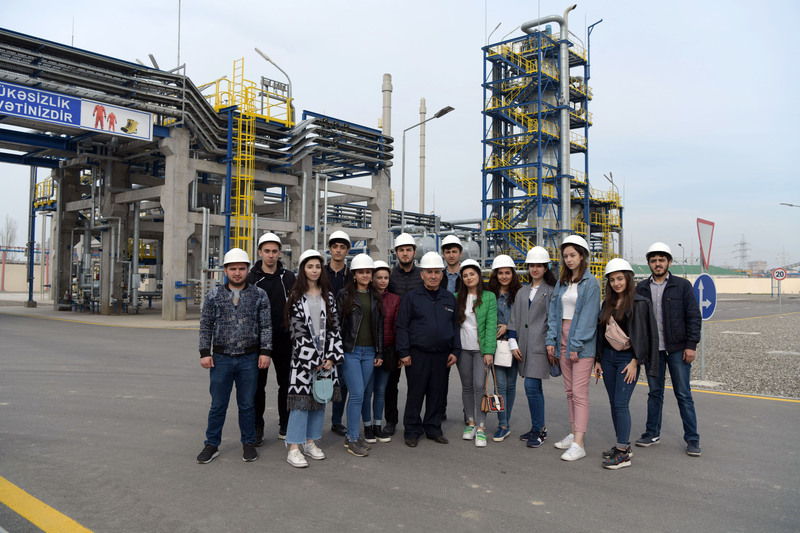 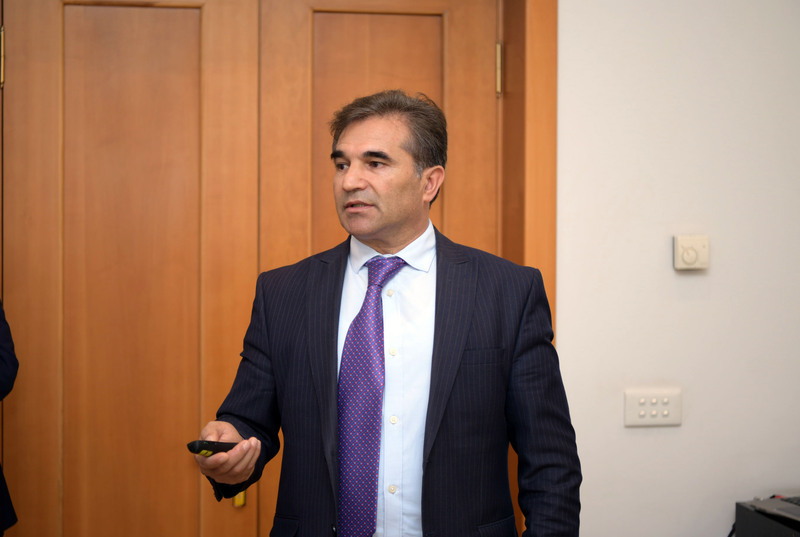 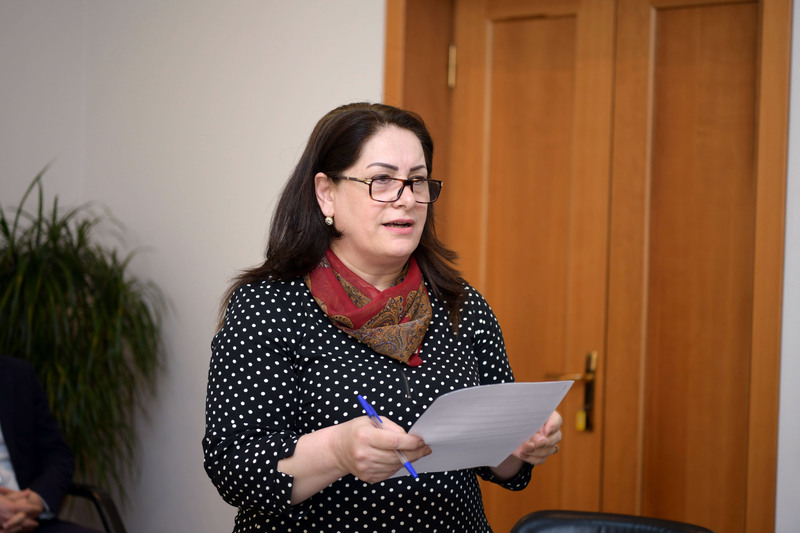 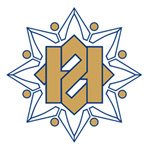 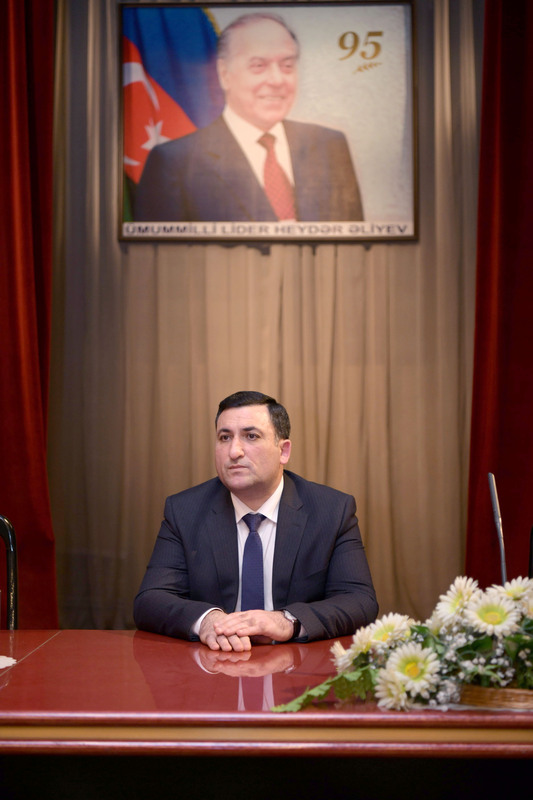 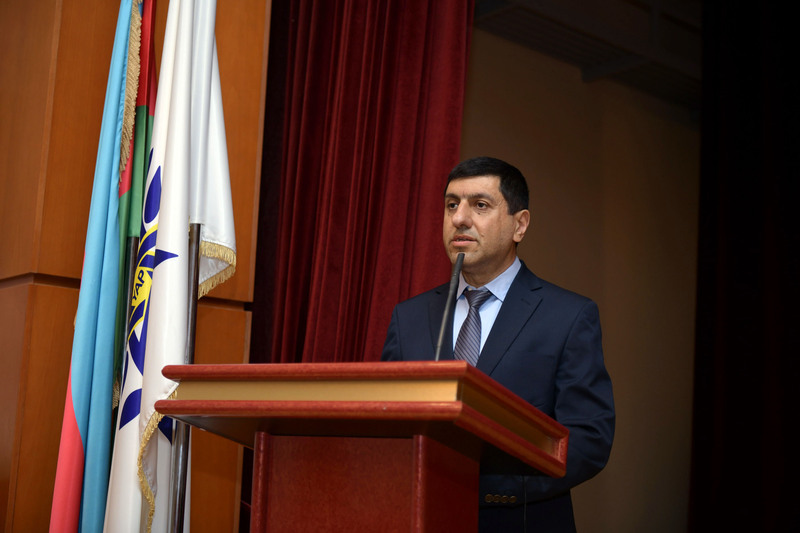 General Director of the plant, Elman Ismayilov, said that the purpose of the meeting was to acquaint with the students' internship process and to listen to their problems. 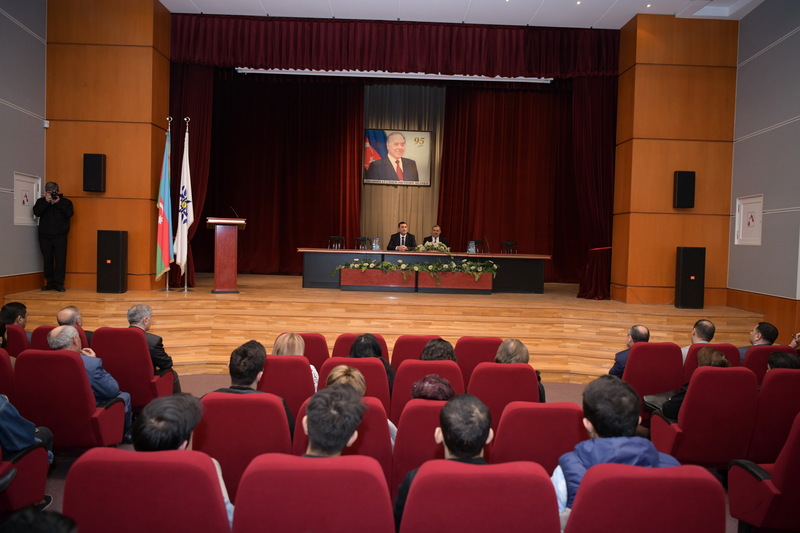 Expressing his gratitude to the management of the enterprise for the created condition, rector, professor Mustafa Babanli recommended students to use of the internship period effectively. 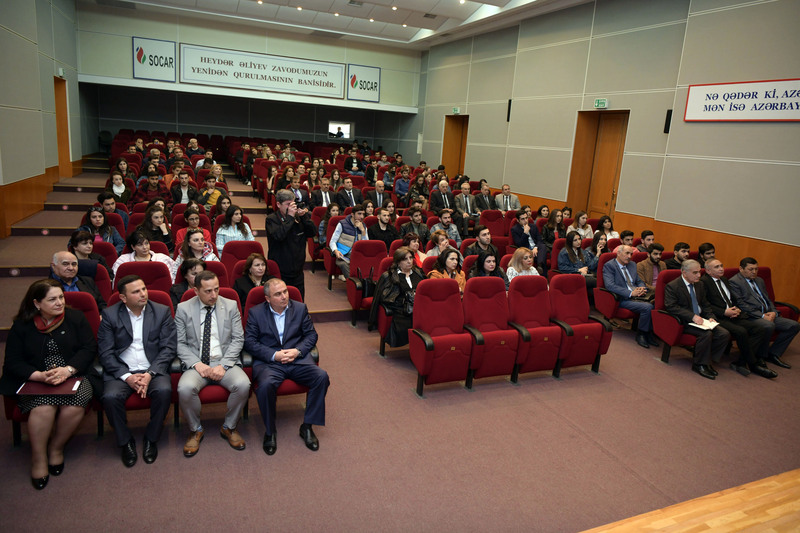 In the end, the students received answers to their questions. 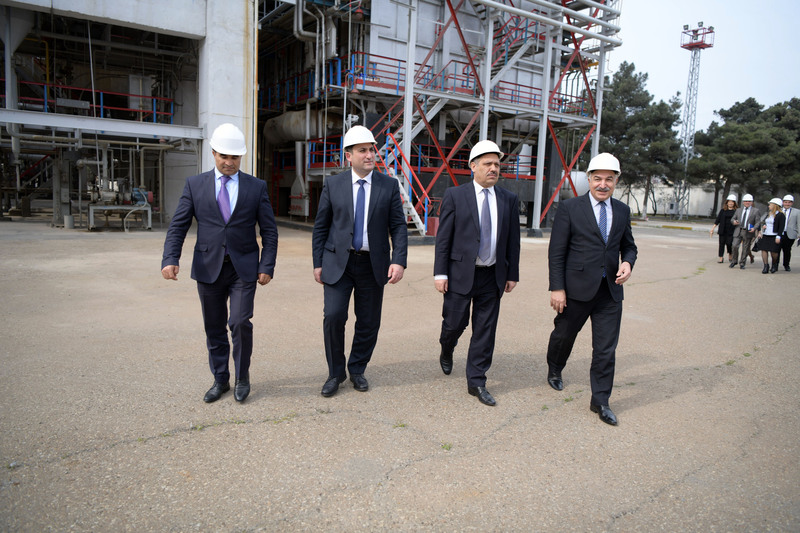 Then the delegation got acquainted with the new bitumen and the Catalytic-reforming device of the Heydar Aliyev Refinery.